In our new series called The Value is in the Land, we’ll look at historic homes and buildings which face an uncertain future as a result of their high-value location. 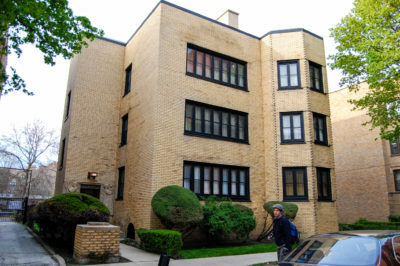 The first entry is 1953 N. Hudson Avenue, in Lincoln Park (pictured above). 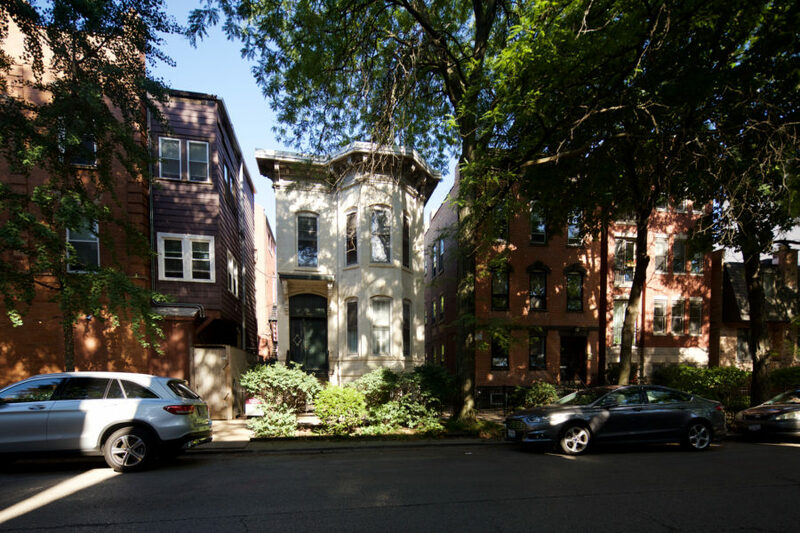 This circa 1893 Italianate home sits on a street filled with garish jumbo houses recently built, with a few original homes remaining. “Knock, Knock, Knock” Who’s there? “The Opportunity” The Opportunity Who? 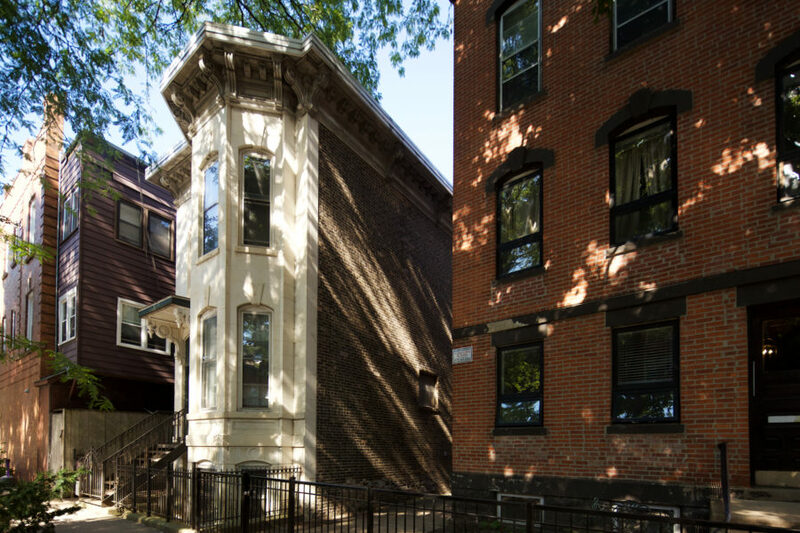 The Opportunity to create your own Dream home on one of East Lincoln Park’s most esteemed streets. 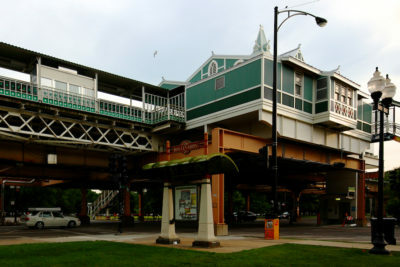 Steps away from the Park, Lakeshore, the Zoo, Lagoon and Chicago Historical Museum. This is an ideal location to design your forever home. BRing your contractor, designer and hardhat! 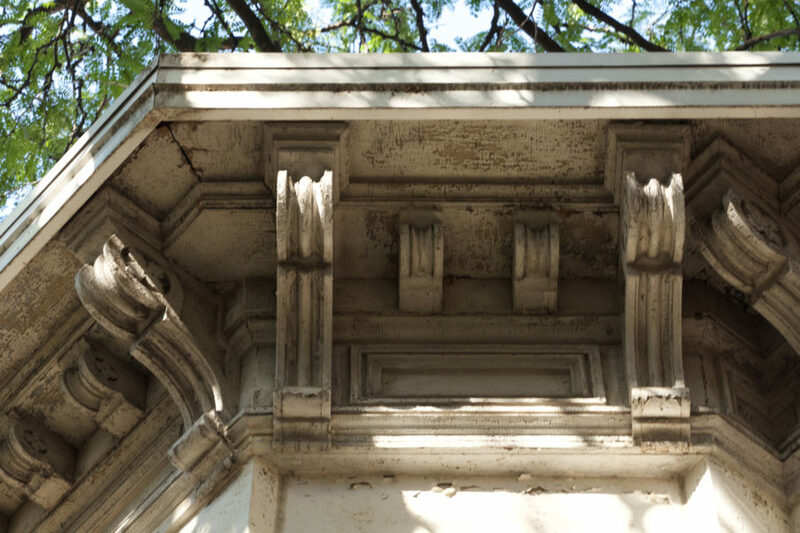 The description is a slightly less explicit than many teardown listings, omitting familiar phrases “teardown opportunity” or “the value is in the land.” But the expected outcome of a sale is clear enough. The likely fate of this beautiful Victorian home is sad, given the near-original appearance of its exterior. 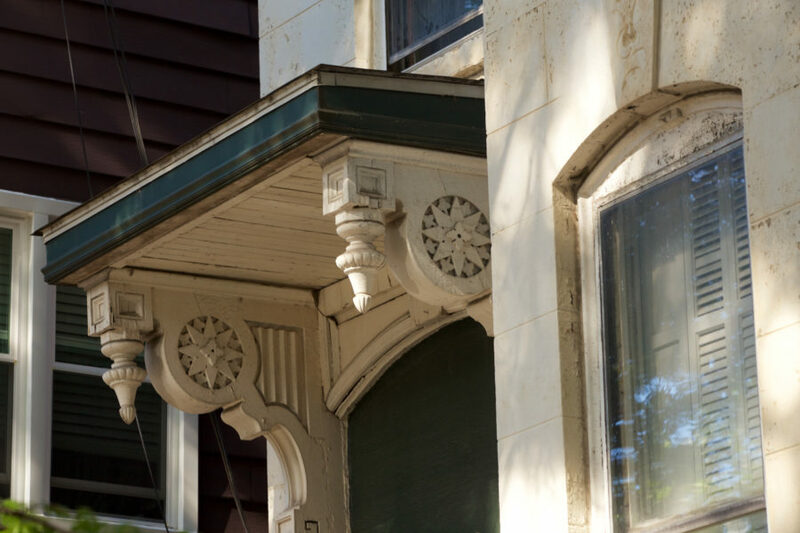 The front porch spindlework and bracketed cornices, along with what may be original window shutters, are indications of its 1890s origin. The flaking white paint (above) reveals wood underneath, without other colors present. Though it’s not certain, it’s likely the house in its current condition is largely the same as when it was constructed in the early 1890s. One of the real treasures of thoughtfully-designed and constructed homes is the attention to detail. 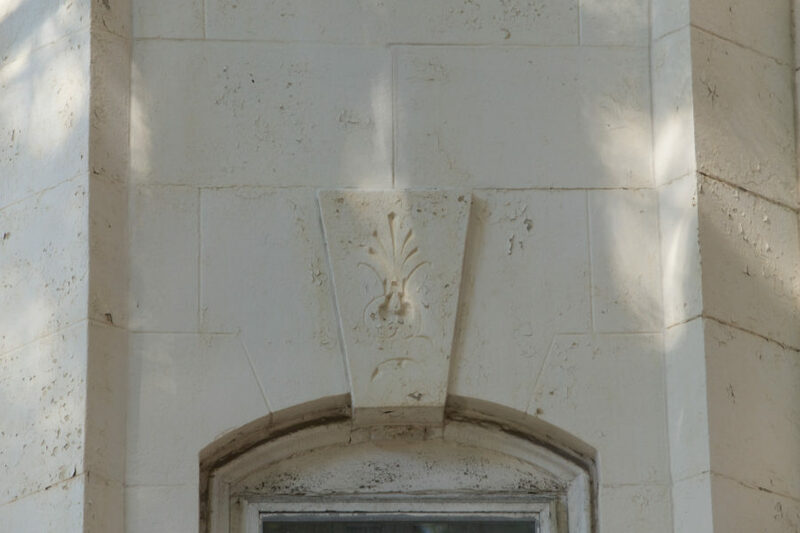 The large keystone above the segmentally-arched window features an incised palmette, a common motif in classically-inspired architecture. Though it seems likely, 1953 N. Hudson isn’t yet a definitive goner. 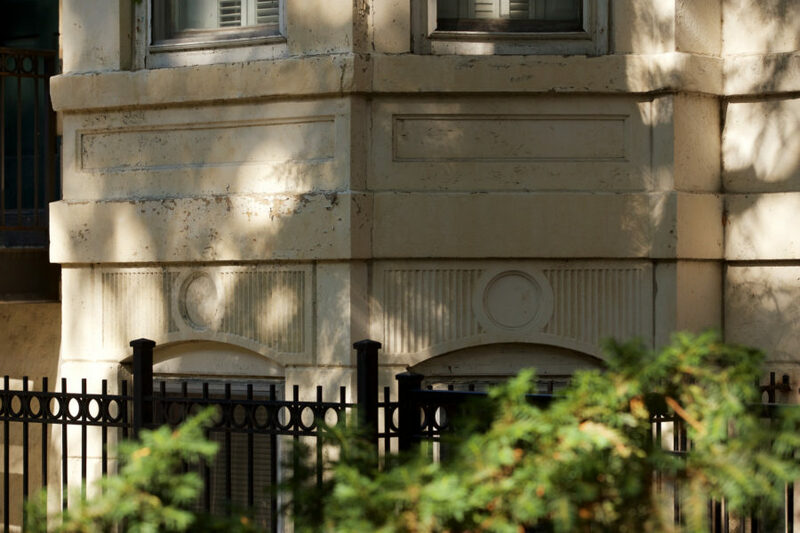 It is Orange-rated on the Historic Resources Survey, meaning that demolition would require a temporary delay prior to issuance of a demo permit and placement on the Demolition Delay Hold List. We’ll update this post with new developments. Went to take a look at this one last week – the facade is amazing and definitely could be a great restoration project in the right hands. Honestly, I don’t think a teardown is likely though. The lot is only 25′ wide by 48′ deep, so the biggest house you could build on that would be about 2,300 sf. It’s also landlocked without parking and next door to a bar which kill it for most people looking to build a $2M home. 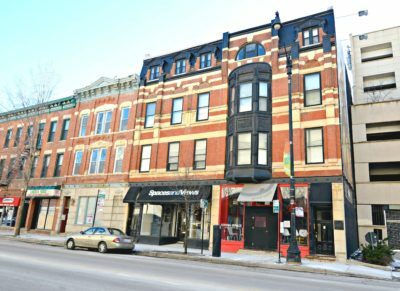 All good things, this is by far one of the most attractive buildings in the neighborhood and would like to see it stay! l was brought home from nearby Augustana Hospital to this house in 1948. I lived there until I was four but have photos of my family in front of the house from the forties. It was a single family house then and we were a multi generational Italian family.